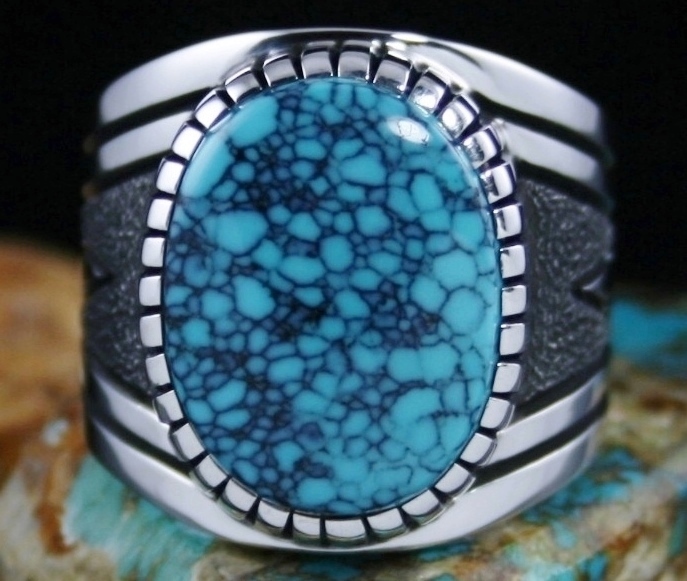 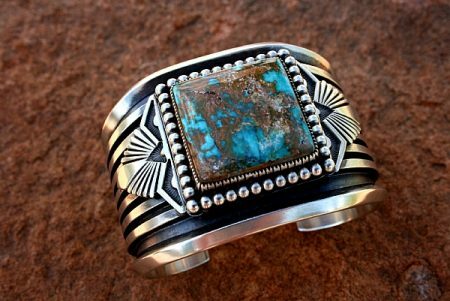 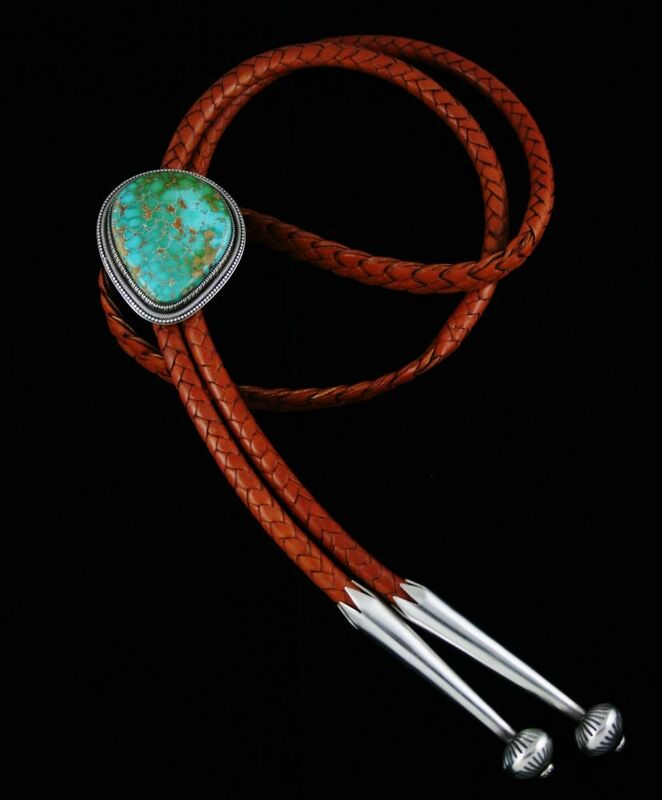 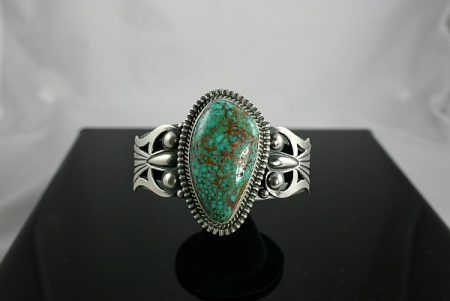 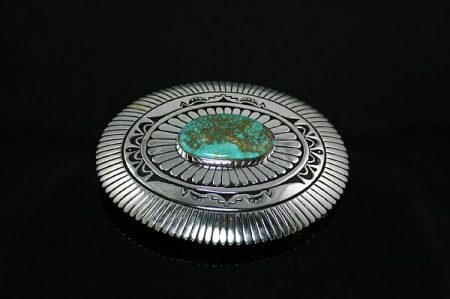 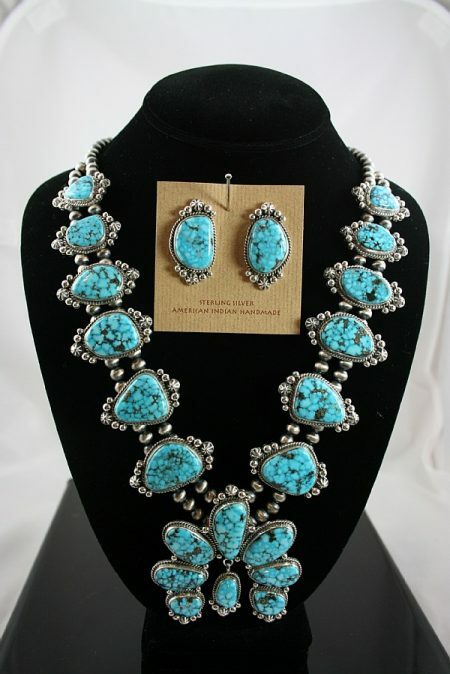 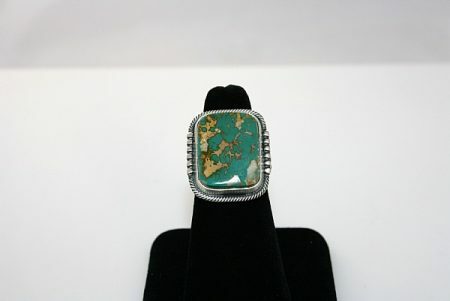 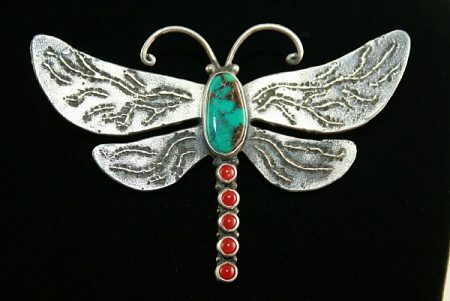 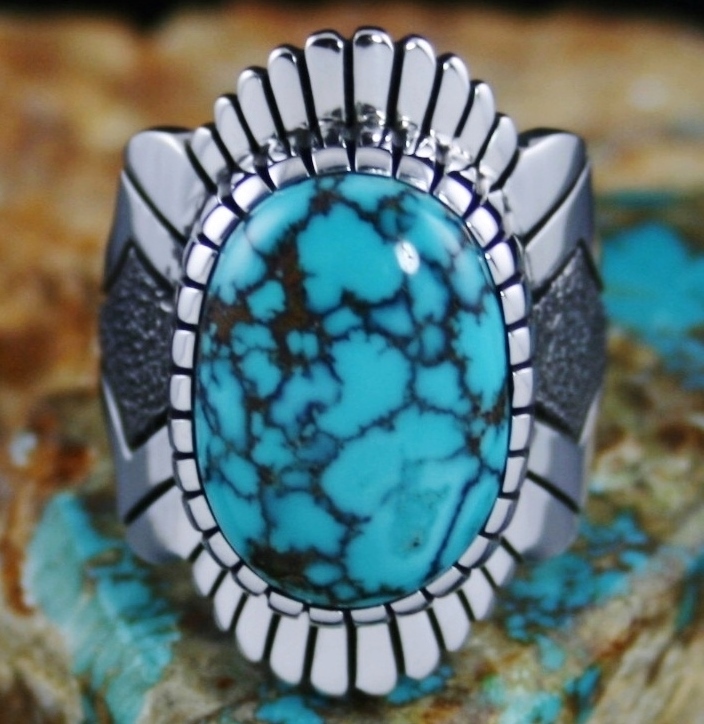 A large and sublime gem grade natural Pilot Mountain turquoise was selected for this striking bolo created by Sammie Begay. 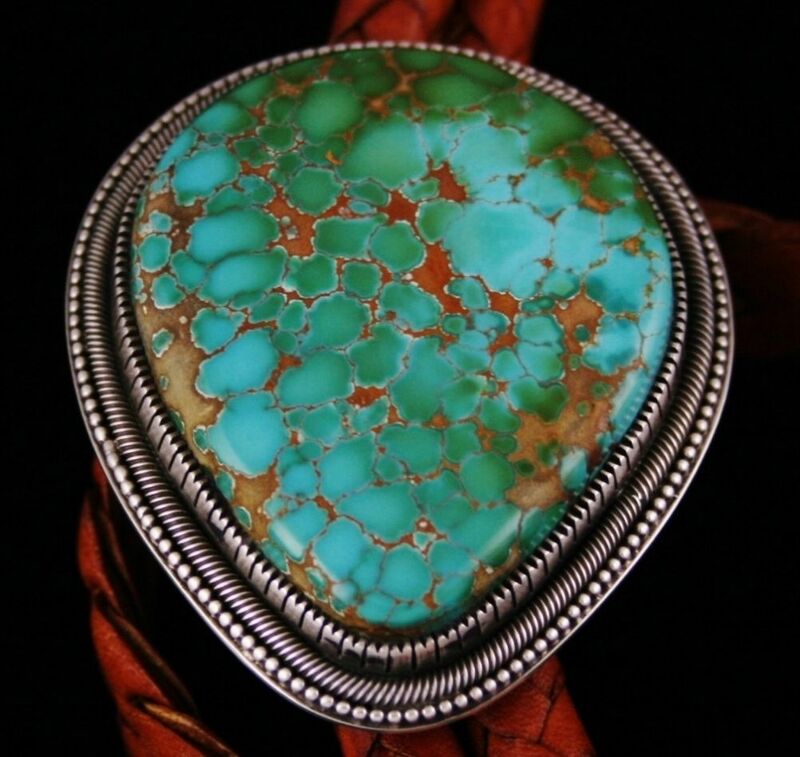 The gem exhibits outstanding vibrant color combinations of blue and green swirling together amidst fine golden-brown spiderweb matrix. 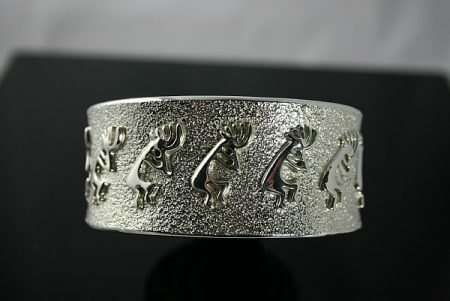 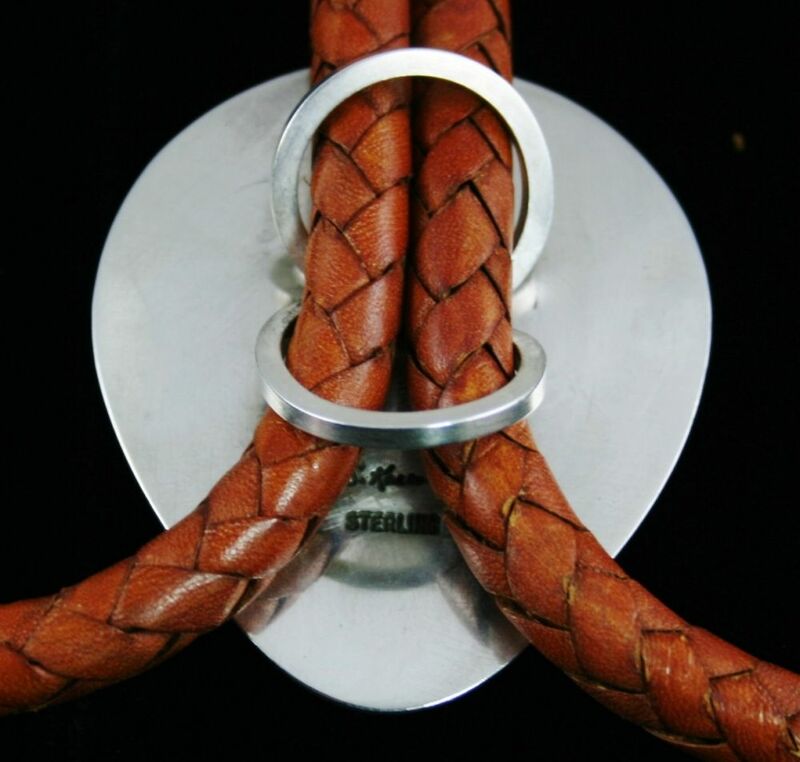 It sits in a superb hand chiseled bezel surrounded in twist wire. A tiny layer of hand made droplets surrounds the wire. 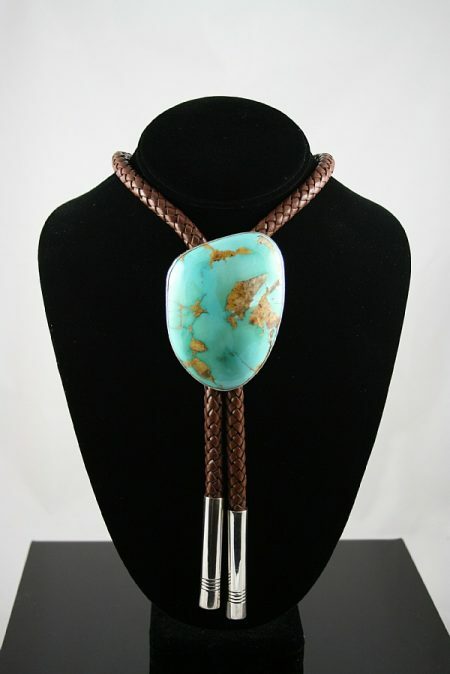 A beautiful hand made Bolo cord was selected to match the color of the spiderweb matrix. 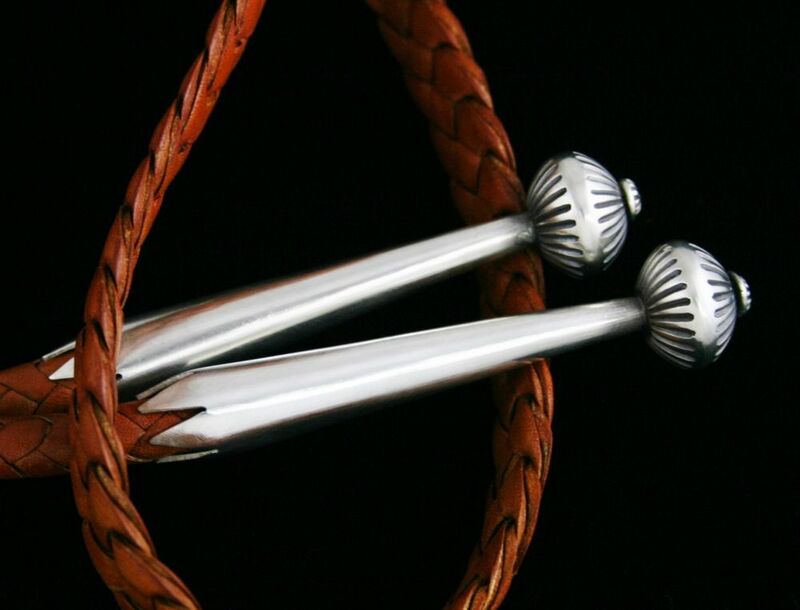 Fine hand made ingot sterling silver tips finish the neck tie with distinction. 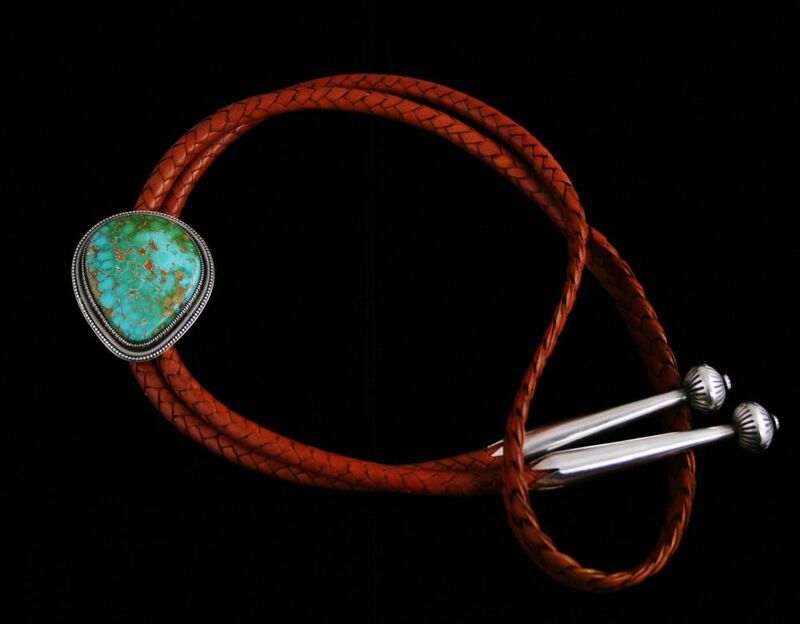 Full Length of Bolo Cord Tips Included: 48-1/2 in. 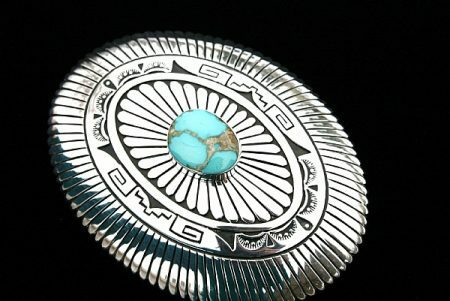 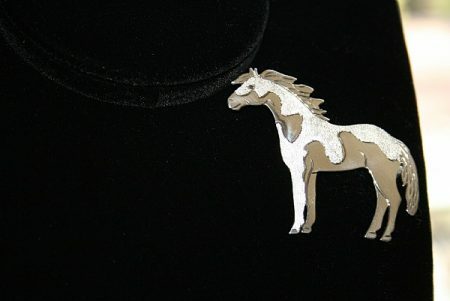 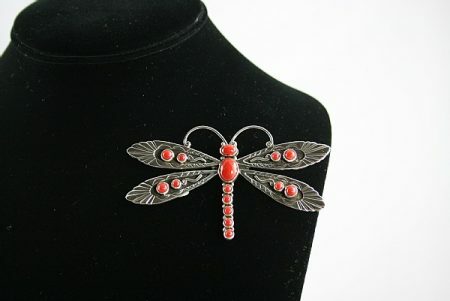 Bolo Size: 2-1/4 in. 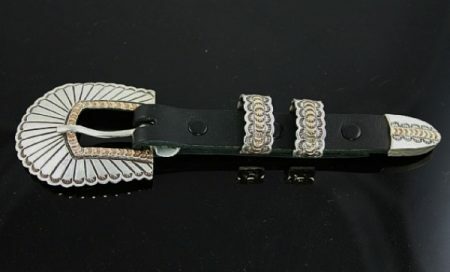 x 1-7/8 in. 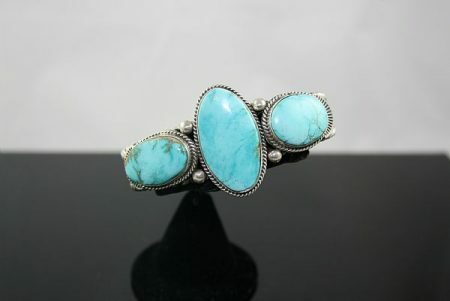 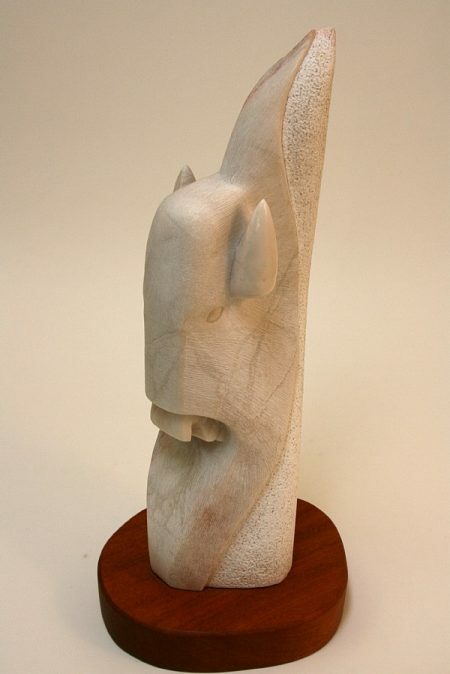 Stone Size: 1-7/8 in. 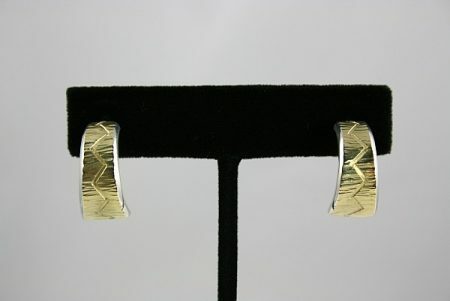 x 1-1/2 in. 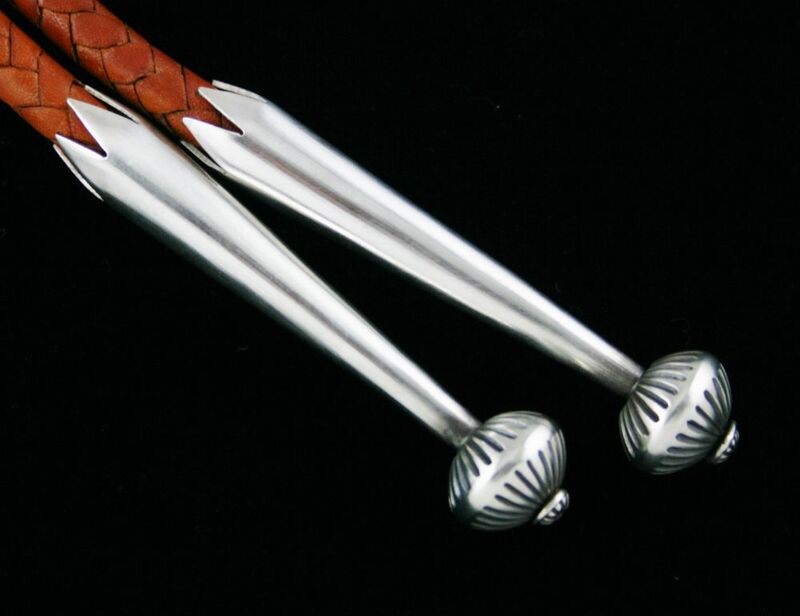 Tip Length: 3-1/8 in.